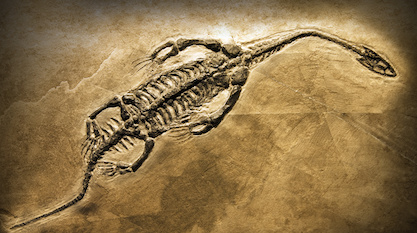 We wouldn’t expect to find a continuous sequence of fossil species evolving all in on place; at least, that’s what we were told before they found these fossil specimens. According to the National Geographic news article, the find consisted “mainly of jawbone fragments, upper and lower teeth, and a thigh bone”–not an impressive array of bones. The Nature article notes that the teeth they found are nothing new because they “definitively place the Asa Issie sample within expected ranges of Au. anamensis variation.” (Nature 440:883-889.) So in other words, they found a few tooth and bone fragments representative of a pre-existing species–nothing truly new! Missing Link or Missing Teeth?